Join about 30 others who are interested in living in harmony with natural systems. Monthly gatherings at various locations & farms in the Oakland Co, Michigan. Each include a skill-share, potluck & awesome networking. Delightful folks! Next Full Moons: Mark your calendars? Sunday March 12, Tuesday April 11 * note summer hours start: tour 6p, potluck 7p, Tuesday May 10. Click Full Moon link for all 2017 potluck dates. Foraging Class – plants on the land for food and medicine. Foraged Brunch – foraging and cook a meal on the Outdoor Rocket Cooker ! Fermentation! Kombucha, Sour Dough Wraps, Butter & more. Traditional Crafts Weekend: Wood Carving & Fermenting and more +++ 2 1/2 day Fire Retreat! Earth Oven – hands on construction of a small model, everything you need to know to make one at home + Rocket Stove Class – hands mockup of the combustion unit, principles and design. Dig Plants to take Home ~ There are many plants on the land that would love to go home with you. Very easy to grow. By donation. Strawbale Construction class, based on the new Michigan Code. 9 Day Intensive Class late July. Rocket Stoves & Earth Oven. So much fun& learning ! See the Blogpost and pictures here ! Social Permaculture: Getting Along. Principles of eco-nature applied to human nature. Inspiring. Check out what is going on with codes. FYI There are some legal tiny houses in Cleveland and Detroit. Johanna Macy article in Yes! Magazine January 2017. A New We Trailer video of a movie on Ecovillages in Europe. Building a new model. Online support for coordinating teams & projects ! 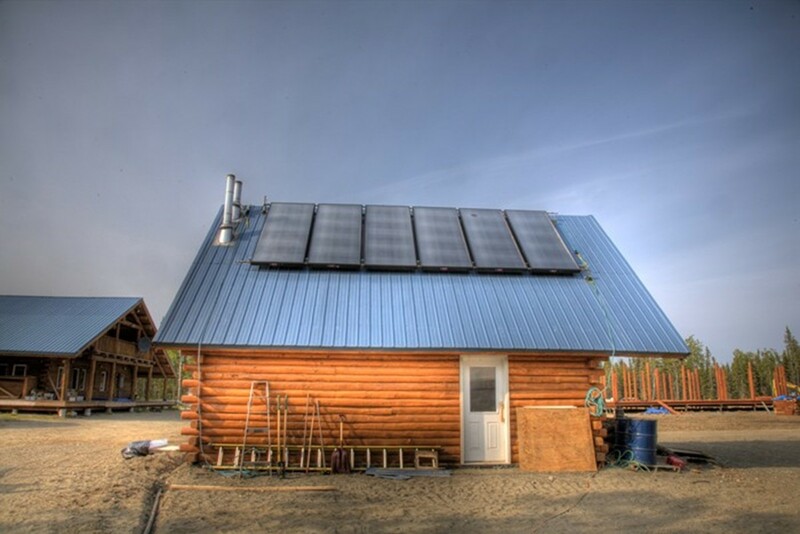 Ionia, a macrobiotic eco-village in Alaska, has space and desire for eight dedicated volunteers to help us build the Ionia barn project this Spring and Summer. 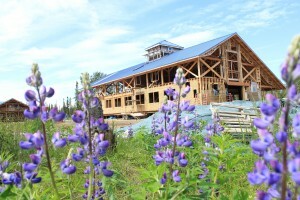 We can offer free air tickets, shared space in a lovely log cabin, good knowledgeable company, delicious plant based meals, bright Alaskan days and an exciting learning experience on one of the biggest modern straw/clay buildings in the world. We will also be bringing our barn crew on a monthly Alaskan excursion/adventure. To see photos of the barn construction, which is in it’s last phases, as well as Ionia, the community, see our website: www.ionia.org. You don’t need any money to come, just the freedom to follow your passions for learning more about natural buildings and explore life in a homesteading community. The village of Ionia has big gardens, and lots of daily happenings with plenty of children running around and four babies being born this spring. We don’t use marijuana, light alcohol is usual but we keep the property sugar and animal food free. We are located a half hour from town and there are daily rides in. We are hoping to gather a vibrant cadre of people to work together daily on the barn this year and learn from each other. We have experienced timber framers, masons, plumbers, carpenters, lite straw/clay builders and plasterers on site. This year, we are applying finish plasters; installing ceiling boards and natural insulation; building two rocket mass heaters; timber framing bannisters and building big barn doors. We need a cadre of serious natural builders to join our teams, and all levels of experience are welcome. If we are compatible, we hope for a six week – 3 month commitment, beginning in May. Please contact me or Ann at longhouse@ionia.org if you are interested in this once in a lifetime experience!